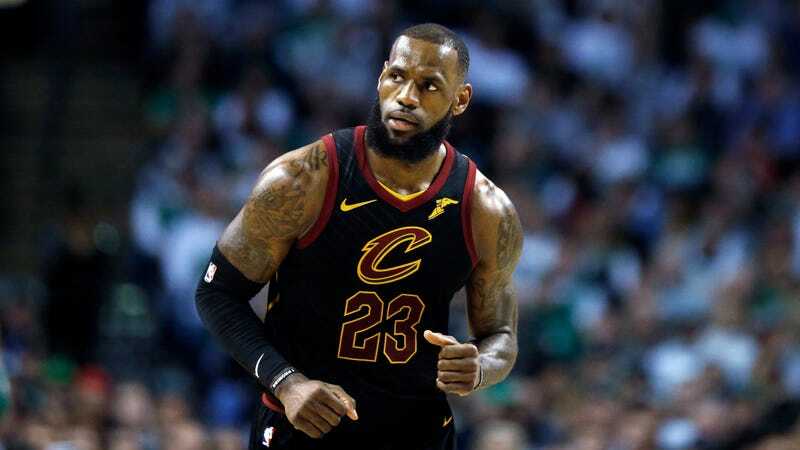 The new-look Cleveland Cavaliers beat the Oklahoma City Thunder 120-112 on Tuesday, two days after stomping the Celtics in their first game with a new roster, thanks to, apparently, LeBron James yelling instructions at his teammates. Larry Nance, who had 13 points, nine rebounds, and three blocks last night, appreciated the orders. James said after the game that his voice was hoarse again from the “all-time high” communication. It’s working. James scored 37 points, J.R. Smith appears to know how to shoot again, going six of nine from the three-point line, and the new faces—Nance, Rodney Hood, and Jordan Clarkson—all scored in the double digits coming off the bench. Keep yelling, Bron. Maybe Now The Cavs Can Just Let LeBron Cook?